It is a requirement of your Agreement, that the goods are protected against Theft and Accidental Damage. We can arrange Theft & Accidental Damage Cover for £0.30 per week. It is a requirement that products purchased on a credit agreement are insured. We can offer Theft and Accidental Damage Cover for £0.30 per week. 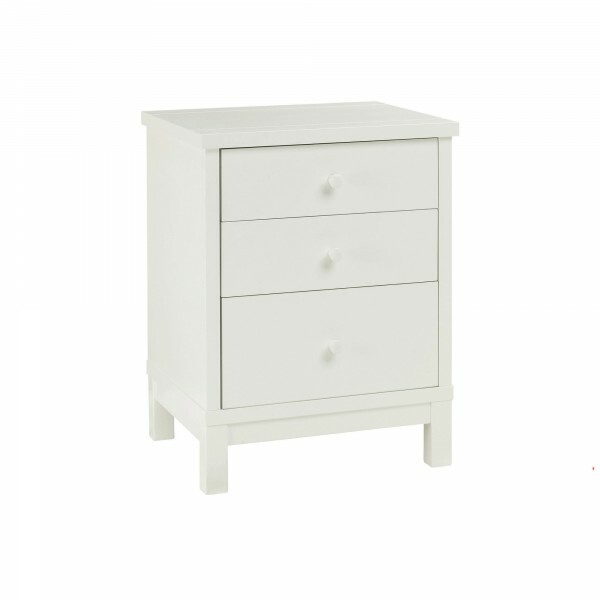 This solid white bedside draw is perfect for placing at the side of our Warrick bed. The 3 draws vary in size with the top two being the same size and the bottom being larger. Also, with solid round handles you'll be sure to love this piece.